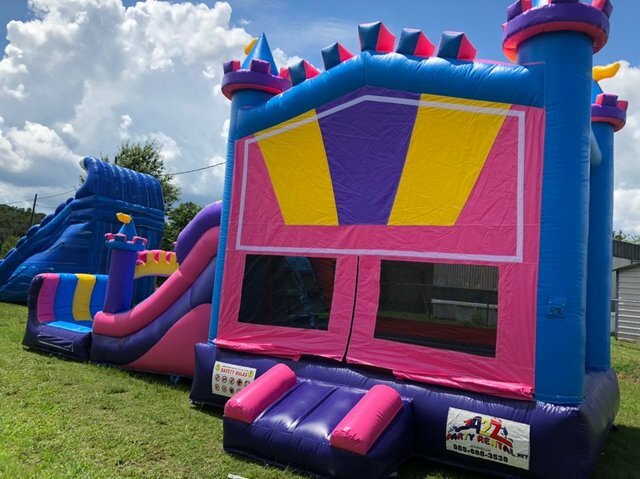 Our spacious combos feature a 13’x16’ bouncing area along with inside access to the 15 foot high slide. These combos measure 35ft long. There’s plenty of room for groups of all sizes.